We’ve got room for the entire herd! 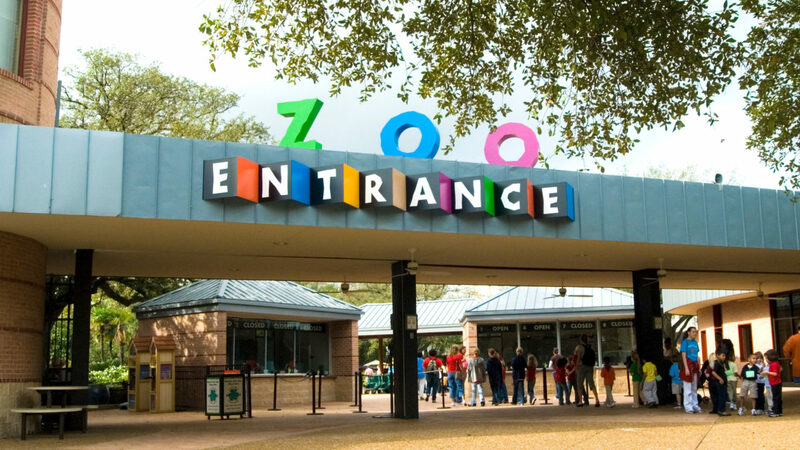 Invite your group to take a walk on the wild side and explore the Houston Zoo after hours. This enchanting experience provides the rare opportunity to see the Zoo after the sun sets. Your party animals will enjoy unlimited spins on the Wildlife Carousel and a dining experience under 100 year old oak trees as sea lions bark and birds chirp. Reserve the entire Zoo for your next big company picnic, conference, reception, or convention and let the raving reviews roar in! This wild reservation is available on select dates from January-October. Contact us today to reserve your date. Experience one of Houston’s most well-loved holiday traditions before it opens to the public for the season! Reserve the entire Zoo for your next company holiday party or picnic, after it’s been transformed into a winter wonderland. Your guests will delight in sights and sounds of the season as they stroll through fifteen miles of eco-friendly LED lights and enchanting displays. Top the evening off with festive food and fare and this is an event that will be talked about for years to come. This exclusive reservation is available on select dates in November. Contact us today to reserve your date. Taste Catering, the Houston Zoo’s onsite full-service catering partner, offers locally sourced and sustainable fare. The menus below have been crafted to fit your specific party needs. An expanded menu is available upon request. Grilled hamburgers and all beef hotdogs with all the fixins: cheese, lettuce, tomatoes, onions, pickles, ketchup, mustard, and mayonnaise. Served with ranchero beans, kettle chips, and cookies. Citrus-marinated chicken breast and ancho-rubbed skirt steak fajitas paired with sauteed peppers and onions. Served with cilatro rice, refried beans, tortillas, and cookies for a sweet treat. Accompanied by shredded Monterey Jack cheese, pico de gallo, jalapeños, guacamole, and sour cream. Pulled pork and sausage (add smoked beef brisket for $6 additional per person.) Served with sliced Texas toast, coleslaw and ranchero beans, along with cookies for dessert. Condiments include BBQ sauce, onions, pickles, and jalapeños. Want to ensure your guests have a roaring good time? Add on a few of the event enhancements below to create an exciting experience like no other in town. Submit an inquiry using the form below, and a Houston Zoo event specialist will respond with more information.